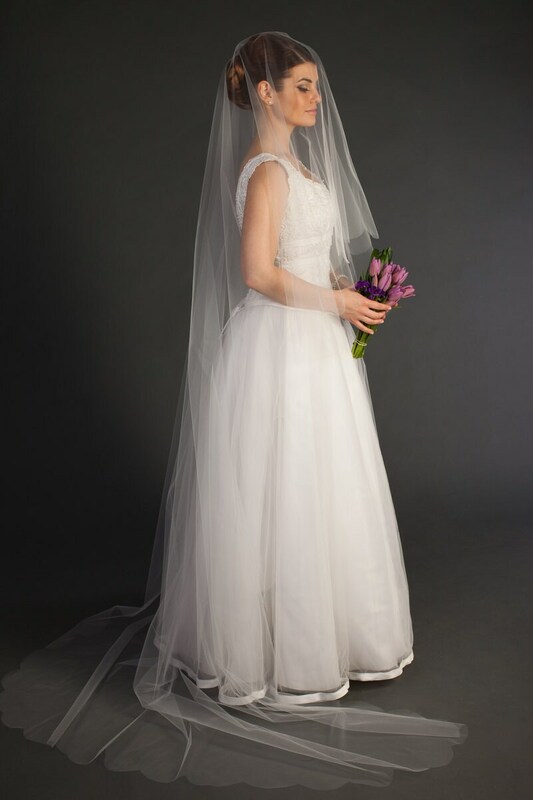 Cathedral Drop veil with blusher and scalloped edging. 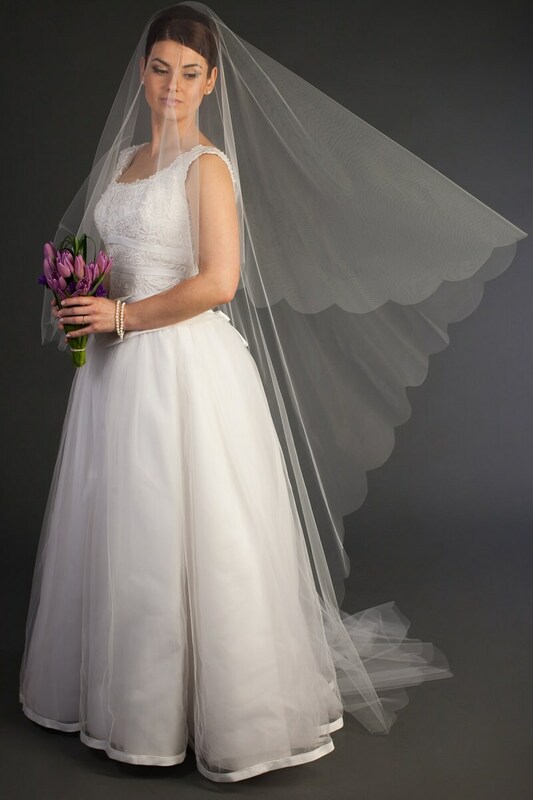 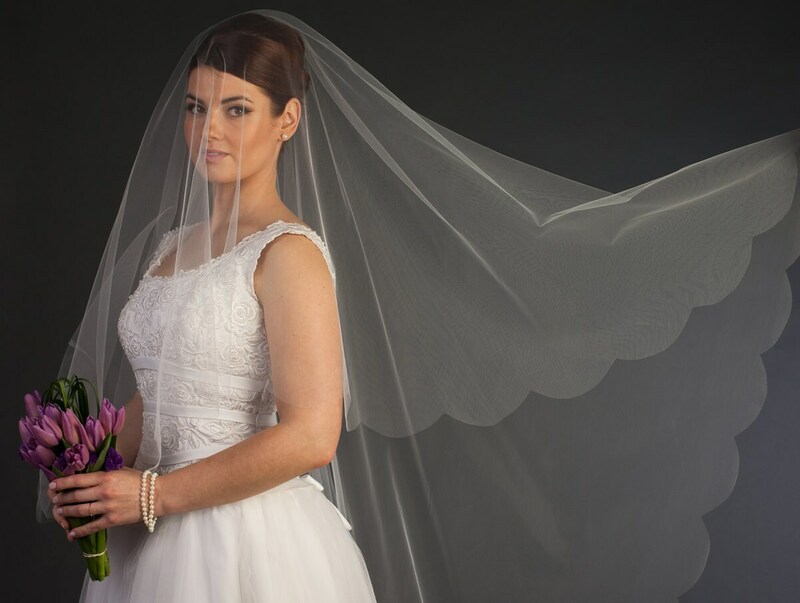 This gorgeous veil is great for any dress and the comb is sewn to the veil for secure fit. 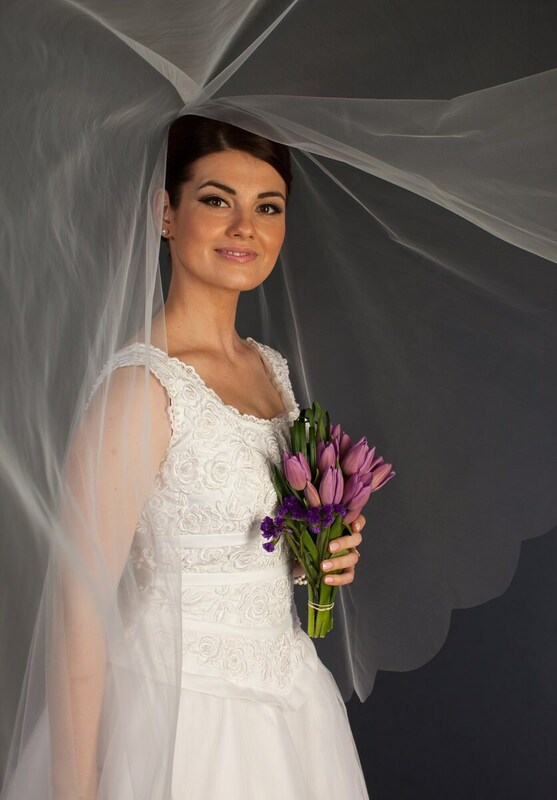 The blusher is 25" long.